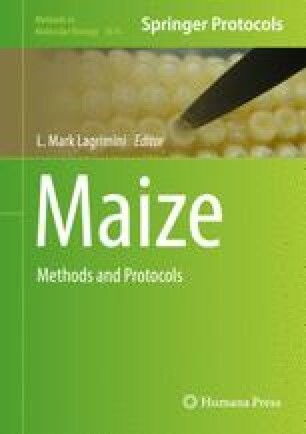 One of the major limitations of maize transformation is the isolation of a large number of immature embryos using the time-consuming manual extraction method. In this article, we describe a novel bulk embryo extraction method for fast isolation of a large number of embryos suitable for both biolistic- and Agrobacterium-mediated transformation. Optimal gene delivery and tissue culture conditions are also described for achieving high efficiency in Agrobacterium-mediated maize transformation using phosphomannose isomerase (PMI) as a selectable marker. The authors thank colleagues Drs. Yoshimi Barron, Larry Zeph, Rene Quadt in reviewing the manuscript and giving valuable suggestions. Competing Interests Statements: The authors are employed by Syngenta Crop Protection, LLC, a developer of transgenic trait products and relevant transformation technologies.